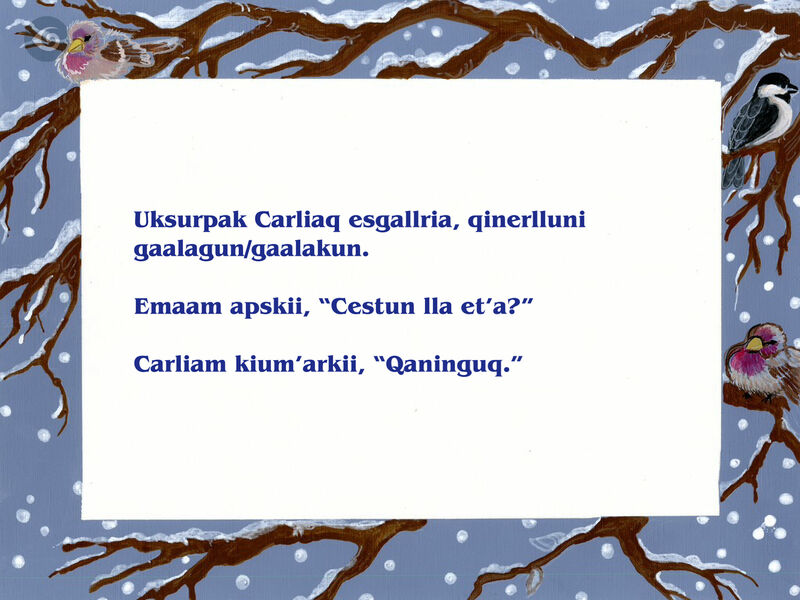 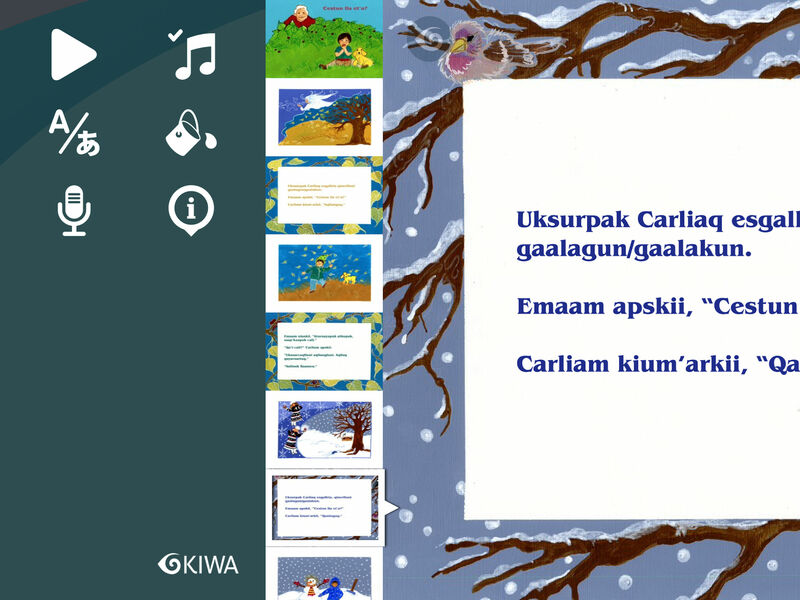 The Alutiiq Museum and Native Village of Afognak have released an app version of the Alutiiq language children’s book Cestun lla et’a? 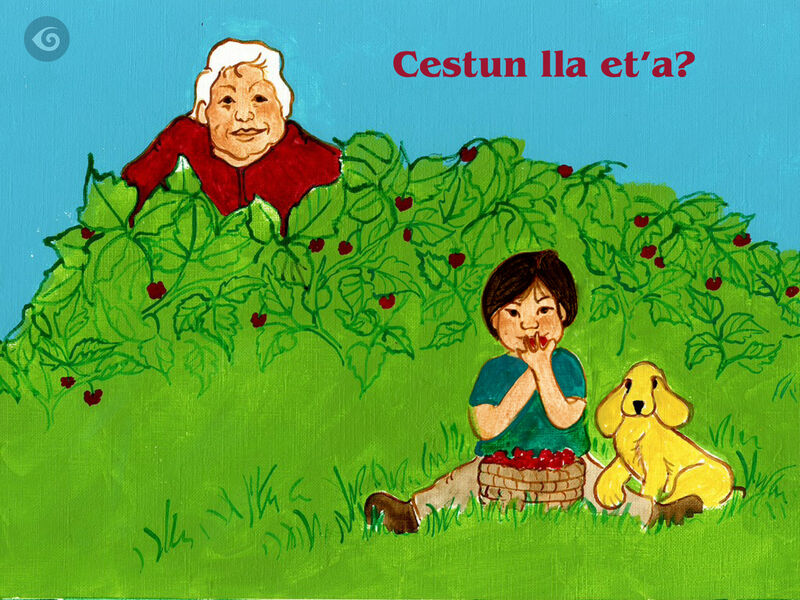 Written by Gayla Pedersen, narrated by Alisha Drabek, and illustrated by Sandee Drabek, Cestun lla et’a? 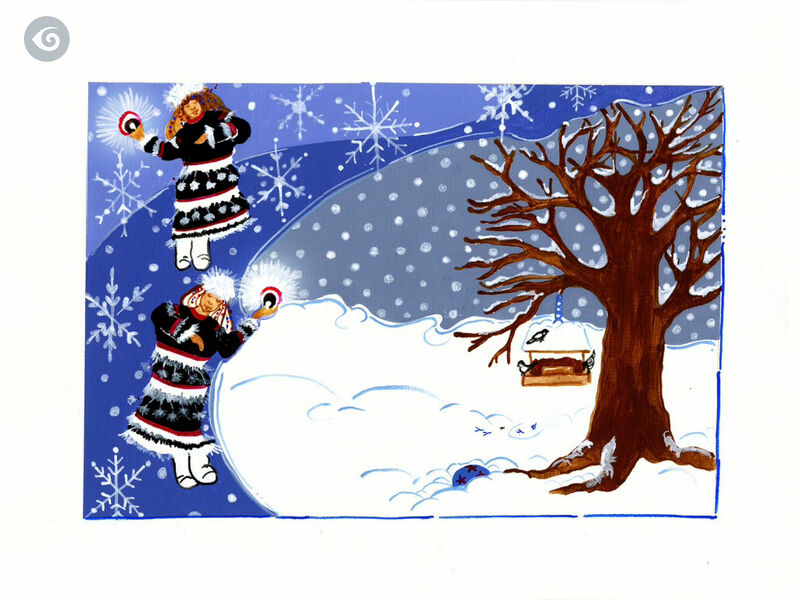 is the story of a child learning about seasons and weather from his grandmother.